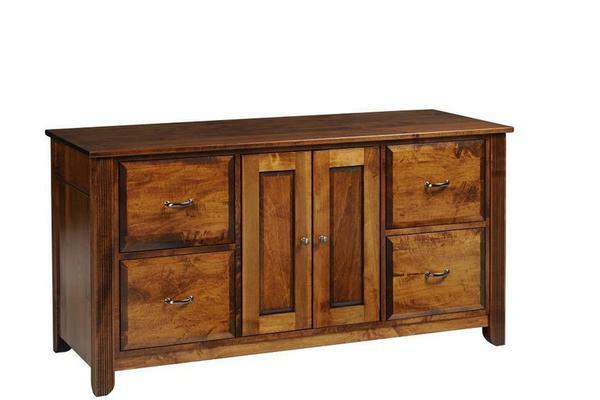 Our Arlington 60" Credenza looks great in any business or home office. The four filing drawers provide ample space for your hanging files and the two adjustable shelves behind the doors allows for hard to find storage. Add the hutch top on top of this credenza for added storage space. Get rid of the old credenza you were thinking about keeping around and just add the hutch top to this beautiful credenza. If you have any questions or would like to customize give one of our furniture specialists a call at 1-866-272-6773.